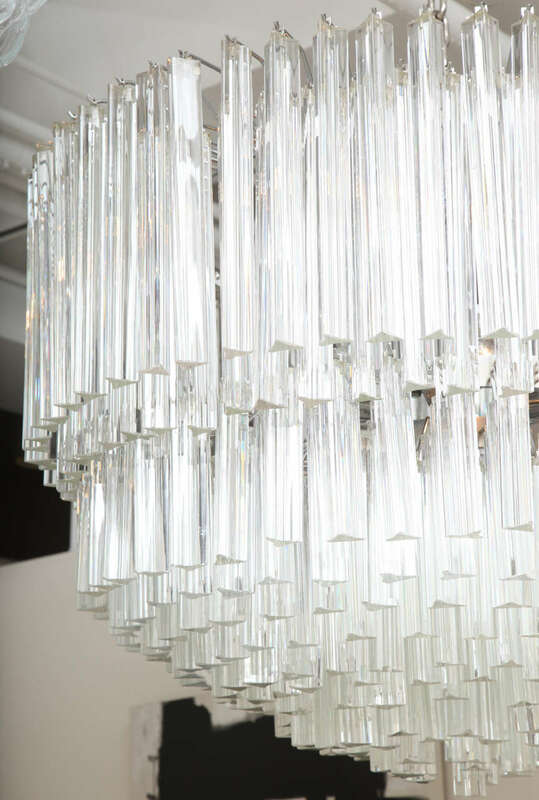 A unique and magnificent Murano glass chandelier in the style of Camer. 36" diameter. 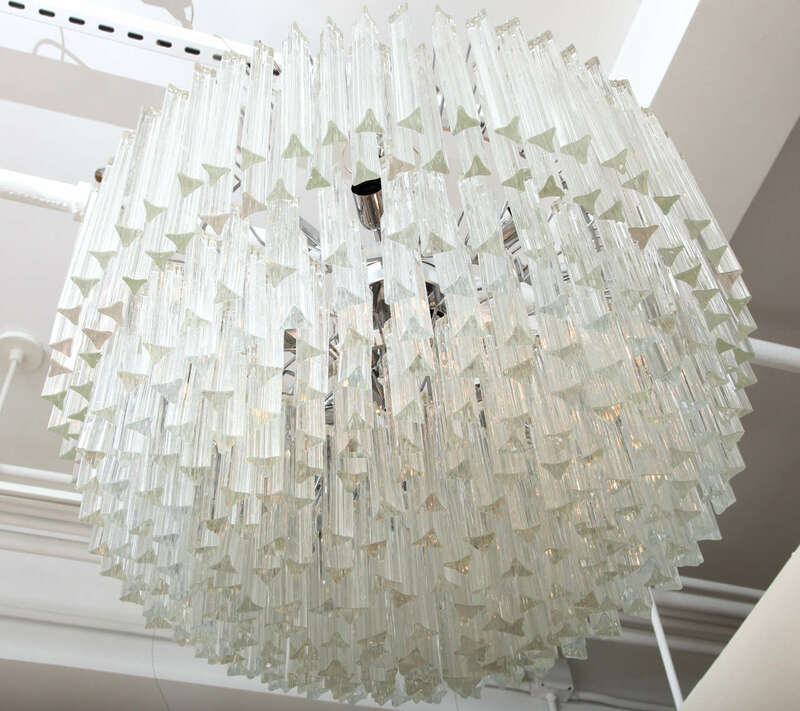 Comprised of individually hand blown Murano glass triangular (triede) crystal prisms on a chrome frame, this large mid century Italian chandelier is truly a show stopper and timeless classic. 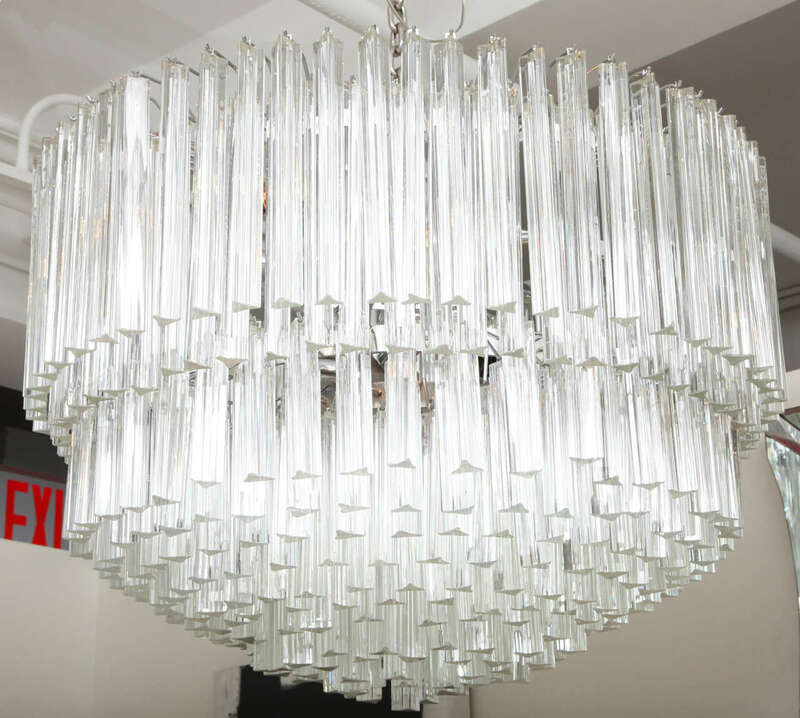 Chandelier can be suspended from the attached chrome chain or flush mounted. Matching Sconces are also available. 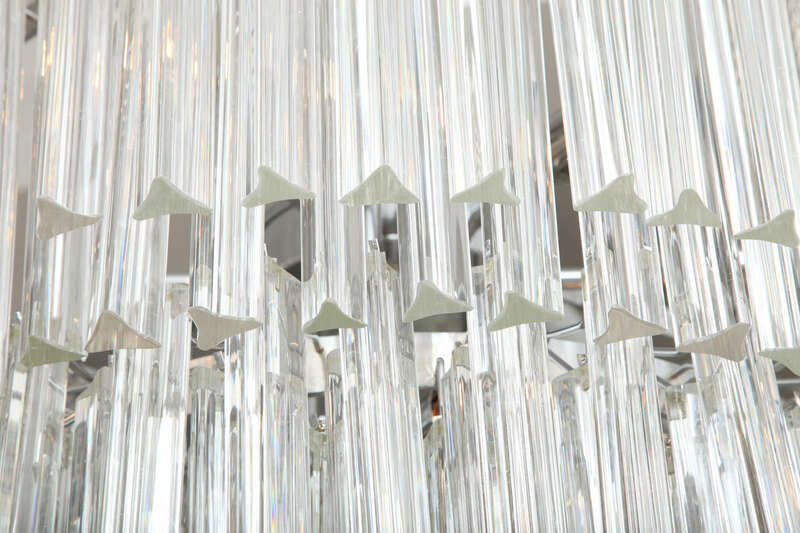 This chandelier is warehoused in Italy and will ship directly from there. 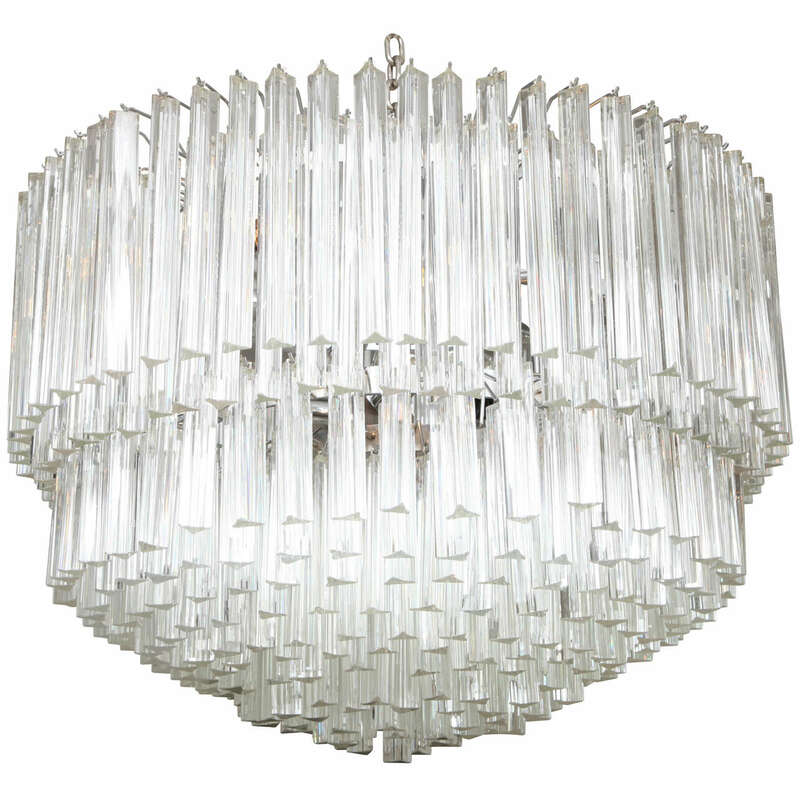 Vintage Italian Murano camer blown glass and chrome Chandelier. Five lights. 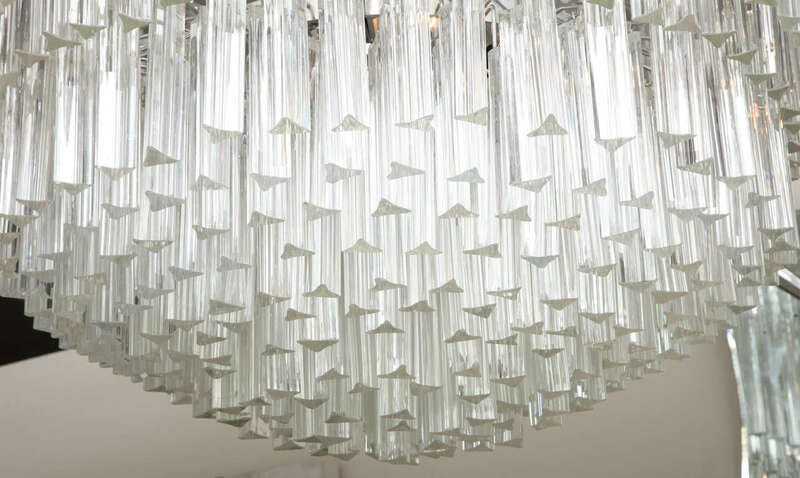 Italian Murano glass pendant light. Measure: Diameter 47 cm. Height fixture 38 cm. 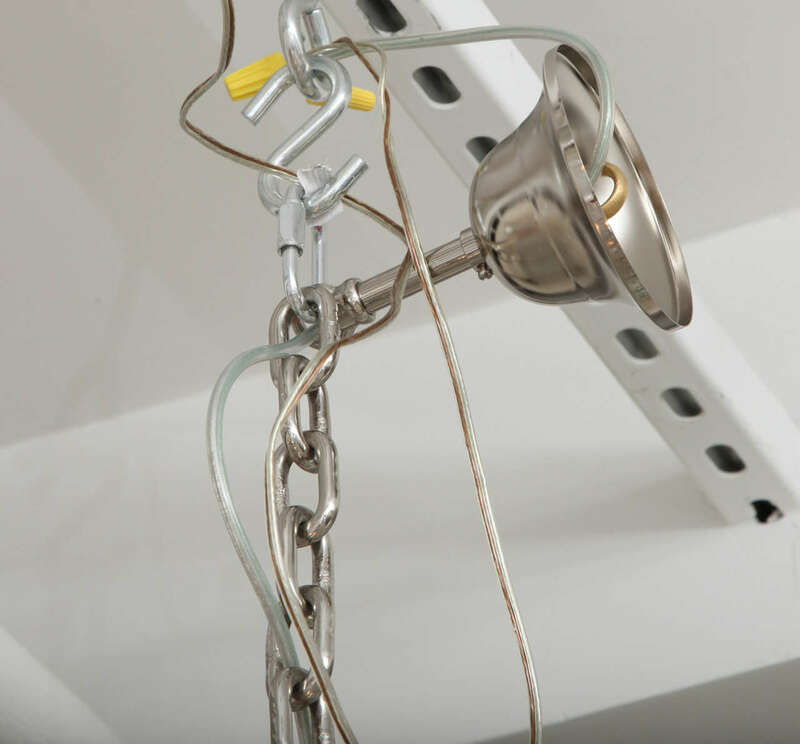 Total height with the chain 100 cm. 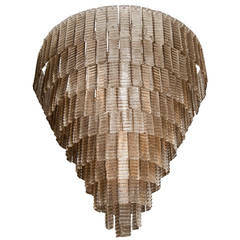 One E27 bulb.